Open daily late July ‘til December 9am - 5pm. 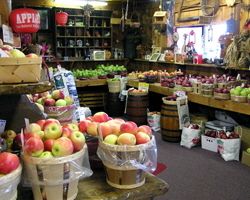 Pippin Orchards offers a variety of fresh and unique products throughout our season. Fresh fruits pies, pastries and other desserts are available alongside our fresh apple cider, donuts, and gourmet muffins. We carry a complete line of preserves, jellies, syrup, honey, local milk, eggs and so much more! From I-295, take exit 6 off I-295 for Rt. 14. Travel west on 14 for 2.6 miles. Turn left onto Pippin Orchard Rd. for 1 mile. 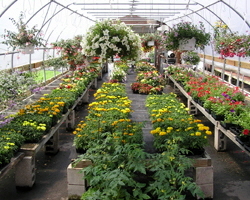 Orchard and Farm Stand is on right.